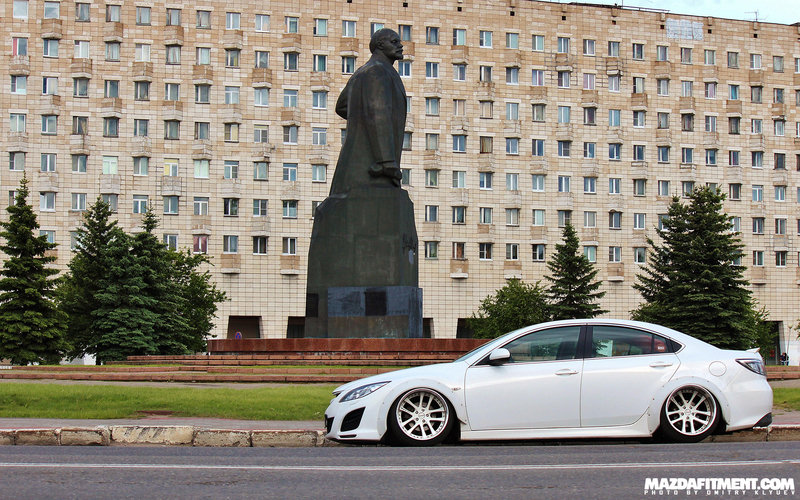 Dmitry Klyuev (Дмитрий Клюев) has been a long time owner of his Mazda 6, and is no stranger to Mazda Fitment with his feature here nearly 4 years ago. 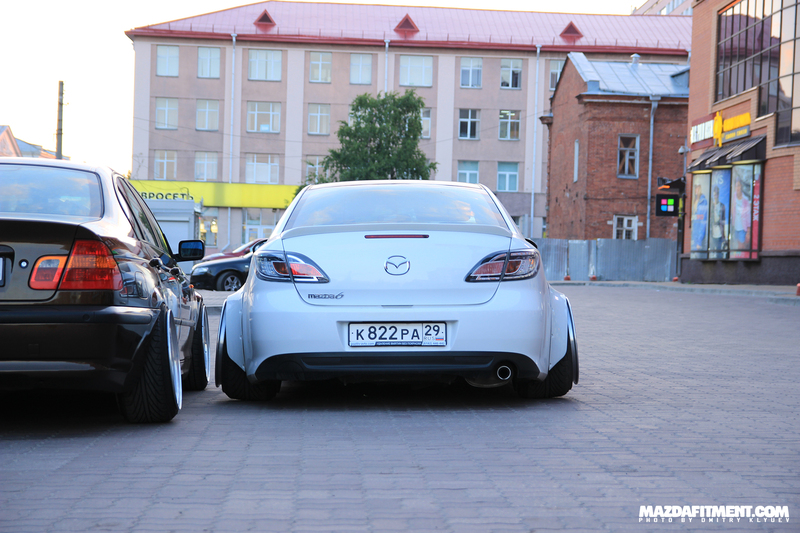 But, back then Dmitry’s car looked a lot different, check it out: Russian Six. 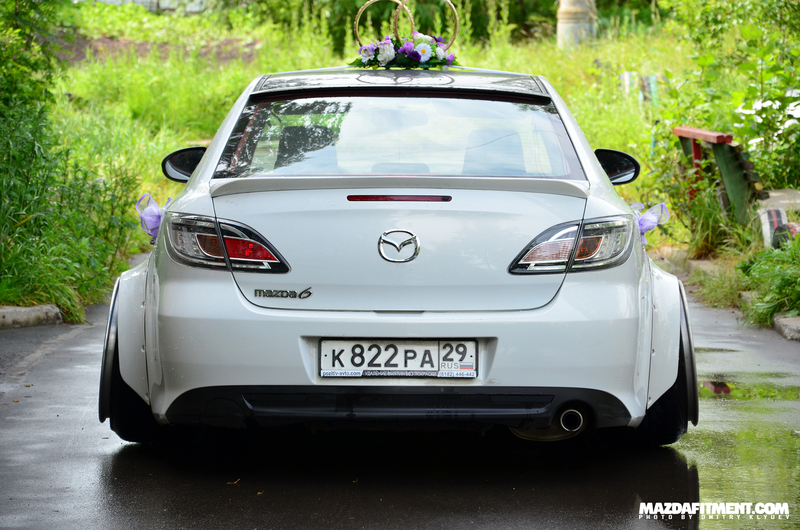 It has transformed into one of the widest and craziest Mazda 6 builds as you can see. The key element that makes this build are the extremely wide flares by Clinched. Flares are one of those things that need to be designed and executed properly. These don’t look too bad on there. 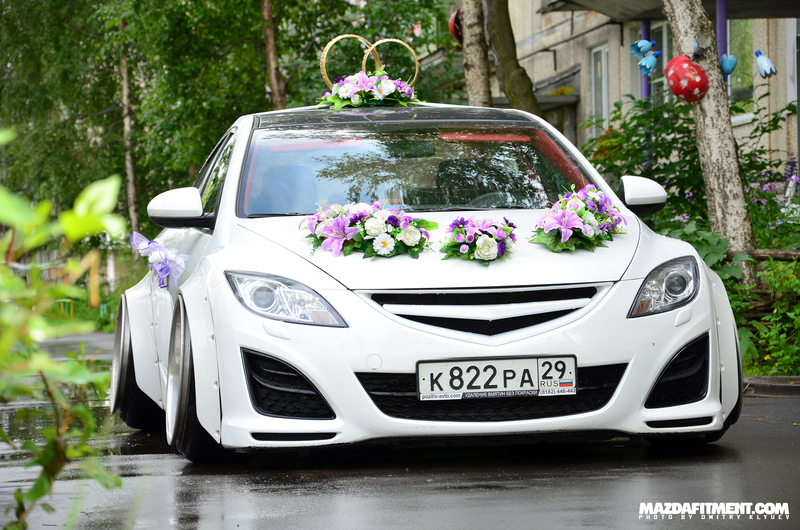 Dmitry went Weds Kranze LXZ in 19×12 -4 with a 235/35/19 tire in the front and 19×13.5 -35 with a 275/30/19 tire in the rear. The rear booty shot showing off how wide the setup is from the rear and the amount of stretch and barrel poking out. The first generation Mazda 6 rear trunk spoiler looks on good on there too. Extreme stretch and barrel poke. This is seriously not everyone’s cup of tea even in the fitment/stance community. 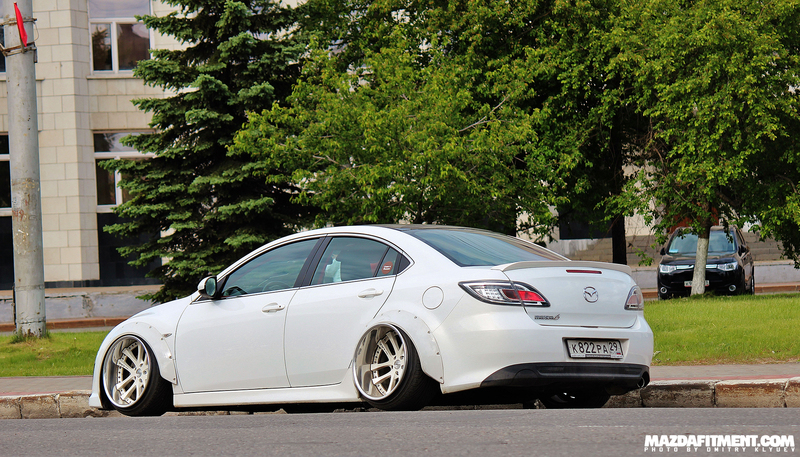 Hopefully not the last we see of Dmitry’s Mazda 6 build.